It’s almost inevitable to have to ride closely to semi-trucks at some point during a long trip on a highway. Large trucks often make drivers of smaller vehicles nervous because a collision with one can be catastrophic. 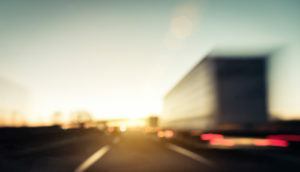 Understanding the top causes of truck accidents and who is liable for accidents can help you feel more confident when dealing with these giants on the road. The leading causes of trucking accidents include driver error, poor maintenance on the truck, inclement weather, equipment failure and improperly loading the truck’s cargo. Determining the cause of your specific accident is crucial in determining who will be responsible for financial compensation. Sadly, injuries arising from trucking accidents are often catastrophic, so receiving financial compensation is critical for victims. The trucking industry is strictly regulated by the federal government. Overseeing agencies include the U.S. Department of Transportation and the Federal Motor Carrier Safety Administration. In the event of an accident, agencies must determine whether the driver, loading companies and trucking company was following regulations. If any party is found breaking the rules, then they will likely be responsible for any compensation. Liable parties could potentially be the truck manufacturer, the cargo loading company, the owner of the truck, the company that leased the truck or the truck driver himself. TeamLaw’s trusted team of truck accident attorneys will help you financially recover from your collision. Don’t hesitate to reach out to our law firm through our online contact form to begin working on your case as soon as possible.